Travel Expert Tips: How To Stay Healthy While Traveling! Hence with these ‘healthy travel expert tips’, we focus on the little, daily habits to stay healthy: mentally, physically & emotionally, while traveling. As a Documentary & Travel Photographer, Joe Were (JW) is constantly traveling solo and in groups. JW Says: Traveling solo can get lonely, so carry your favorite book or download podcasts beforehand. The Netflix Mobile App allows you to download movies that you can access offline… I usually save at least 10 of my favorite movies offline especially if it’s going to be a long trip. JW Says: When traveling as a group, defining your roles helps a great deal. For example, on the ‘Unscrambling Africa’ project, I knew that I was the navigator, Josh cooked while Mutua handled the money…etc. Such things boost group camaraderie, which in turn keeps everyone sane and getting along. Lenana Says: In the past, I’ve been terrible with staying healthy… but I found a way that works for me. Tj Says: You’ve got to do prior research on your destination. That’s where it all starts: Is it out of your comfort zone? How is the weather? How are the people? Tj Says: Monitor your body, getting burned-out is very easy. We get so trapped in having fun that we forget to eat well and rest. If you can, cook your own meals- it’s always the cheaper and healthier option. Depending on your type of activities, stay hydrated and regulate your sugar intake to keep energized. Muthoni Says: I love walking, so I travel in sneakers and get my exercises in through walking or jogging. 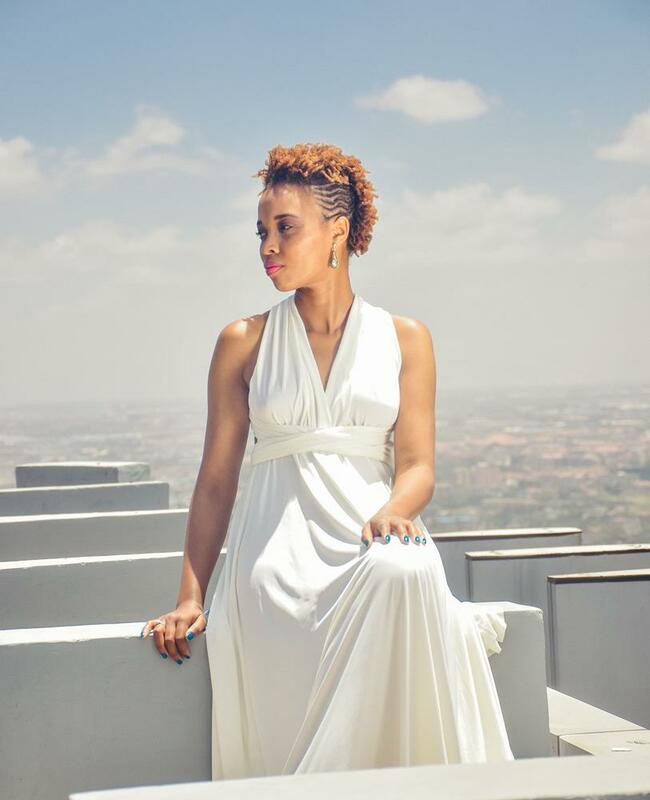 Muthoni says: I try to meditate daily and stay present while traveling… Travel is therapeutic, as it helps me to declutter and renew my energy. So I try not taking things personally or getting easily irritated by people or situations. Otherwise, you’ll generate bad vibes and end up missing out on so much! 8. Lightweight Stomach? Stick to What You Know! Muthoni Says: Avoid eating random things if you’re prone to getting sick. Choose healthier options with a few treat meals. Njeri Says: Social Media detox is my best way of staying healthy when traveling. I’m all about getting a good photo for the Gram! But l discovered that I’d barely enjoy my trips while trying to get ‘the shot’. In Cape Town, I reserved one of the last days for photography and spent more time exploring. Patrick Says: Plan for sufficient downtime to relax; days when it’s okay not to do anything, especially for long trips. Pack healthy snacks for you & your kids to eat on the way. Great Content, awesome to read on. If you need to book the cheapest flight donot wait any more. Visit our website and check out the exciting deals there. Travelling alone has turned out great for me and the social media detox is my priority while on the trip, thanks for the tips. Thanks Marion for the tips,of late I find myself coming back to your blog every time I’m about to travel. This is particularly helpful as I’m usually clueless on what to carry, eat etc.. So thanks again. It’s so easy for me to only focus on the trip and forget the healthy aspects and the various shapes and forms health presents itself in trips! Great article and inputs from the travel experts! Thank you for reading Christine, and I am pleased to learn that you found this insightful! I found that interesting too, the way health is not all about the physical body, but our overall health when we travel. Thanks again and Happy Travels! Well these tips are helpful.. Thank you for the thorough research..
Good article Marion,very well researched.I have learned a lot from all these guys..thanks so much.Keep up the great work I can really relate to quite a lot from these guys and piked a few more tips for my next escapade! ..oh now I feel like travelling.